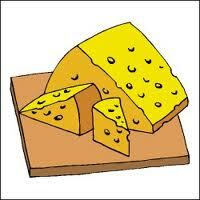 The theme for this Food on Friday is Cheese – such an incredible ingredient! To add your cheesey wonders, just put the name of the dish together with your blog name/name into the first Mr Linky box you will find below. Then paste the url for your post about it into the second box. I'll be pinning the dishes to this Pinboard which will make it easy for you to check them out at a glance. The links from the earlier collections are also on that board. Uh oh, my ultimate weakness = cheese ;) I look forward these posted recipes y'all!! Thanks for hosting, Carole! I hope you have a great week. The post for Ma’s pizza ( # 8 ) also has a link for Carmela Soprano's Pizza, which has instructions for making 1 or 6 pizzas. This week, you get my MIL's sooper seekrit recipe for cheese blintzes - enjoy! Oops, I made a mistake (sorry about that). The link for #16 is not valid. Thanks for inviting me, Carole! Have a great weekend! Cheese. There is no end of recipes! Oh the wonders of cheese! Great inspirations here. Thanks for hosting the party. I think cheese is great on or in almost everything! Thanks for hosting! I shared my mozzarella stuffed meatballs...OHMYGOSH so good! Oh yum! Cheese is always a favorite! Everything goes with cheese! I tried to play a game with my friends. Name a food that doesn't go with cheese and the other person has to name a cheese, dish or pairing. We couldn't find a single food that doesn't go with cheese. Huzzah!! I couldn't live without cheese. Sharing two super easy recipes - Cheesy Mashed Potato Fritters, and No-Knead Cheese, Chive & White Wine Loaf. Happy Friday, Carole! I love cheese but a quick review of my recipes show I only have 1 cheese recipe. Though, it's a goody. I'll have to do better! Thanks for your hosting prowess. Yum, yum. Love anything with cheese! I've posted some of my Greek recipes. Lovelovelove cheese! In fact, my husband was just telling me, not more than 20 minutes ago, that I should try eating less cheese! I brought a Swiss Linguine Tart to the party. Lots of ooey cheese in this recipe! Thank u Carole, just linked my Cheesy spicy Pull apart bread..
Good Afternoon Carole, Oooh cheese, I do love it. I have brought along my Roasted Figs Wrapped in Prosciutto.... its always a winner. You are right, cheese rules. I've linked up a few of my recipes that highlight different cheeses. My favorite is the burrata pasta--so fast & easy to make a flavorful meal!